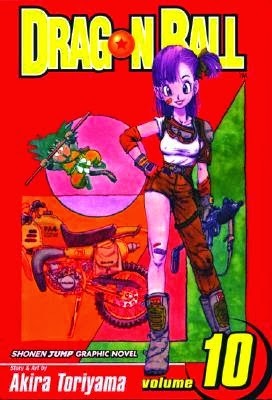 This review covers Chapters 113-134 (Volumes 10 and 11) in the Dragon Ball series. This installment revolves around the 22nd World Martial Arts Tournament, a tournament between the best fighters in the world. 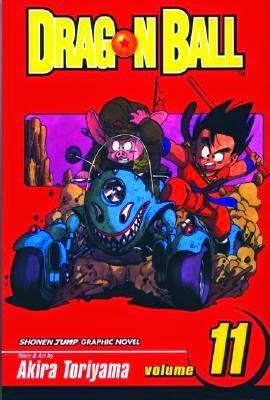 My main complaint of the previous saga was that there was repetition in the story, so at first I was skeptical about going back to the Strongest Under the Heavens tournament again, but this one was so much more interesting than the first, that I am actually really glad Toriyama wrote this in again. Kuririn and Chaozu’s fight ends unexpectedly and hilariously, which is one of the main reasons I love Dragon Ball and Toriyama -- you never know what antics he has written into the story and it is always a comical adventure. Then Jackie Chun, who is the Turtle Master in disguise again, takes on Tenshinhan, the three-eyed champion of the Crane Master, Master Roshi’s rival. The fights from that point on end with the victor you would expect, but the action is so good that it makes all the fights surprising in their own way. I'm not sure how much I like that the training Goku did in the past three years was "off screen" -- even though I think the training scenes bog down the manga -- but it was interesting for him to have some new tricks up his sleeve while fighting. And because the action is so good, you want to get through this saga as quickly as possible to see who’ll win the tournament. I really liked that Master Roshi finally showed a more mature, wise side to his character with Ten and the rivalry between the two was incredible. And of course seeing Goku fight is always terrific, especially since we see how much Goku’s powers have advanced. Overall: 4/5 for this saga. I love the Strongest Under the Heavens tournament with a passion!